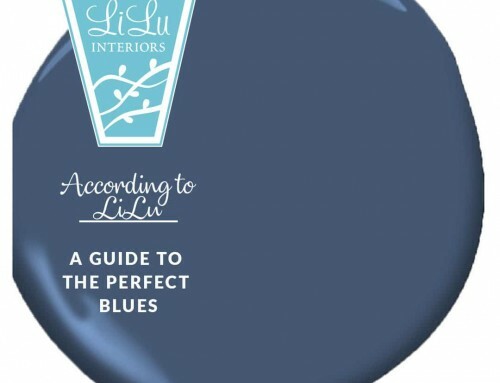 At LiLu Interiors, we love finding unique talent! 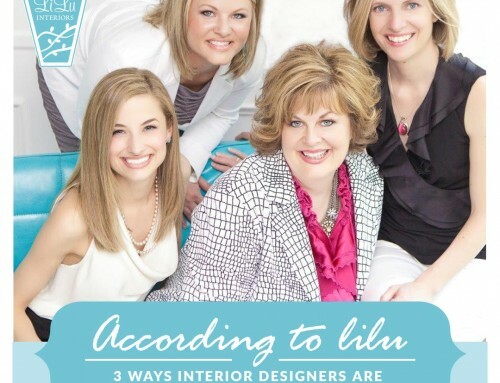 But we feel selfish keeping it all the talent to ourselves so we are sharing our top interior design resources. 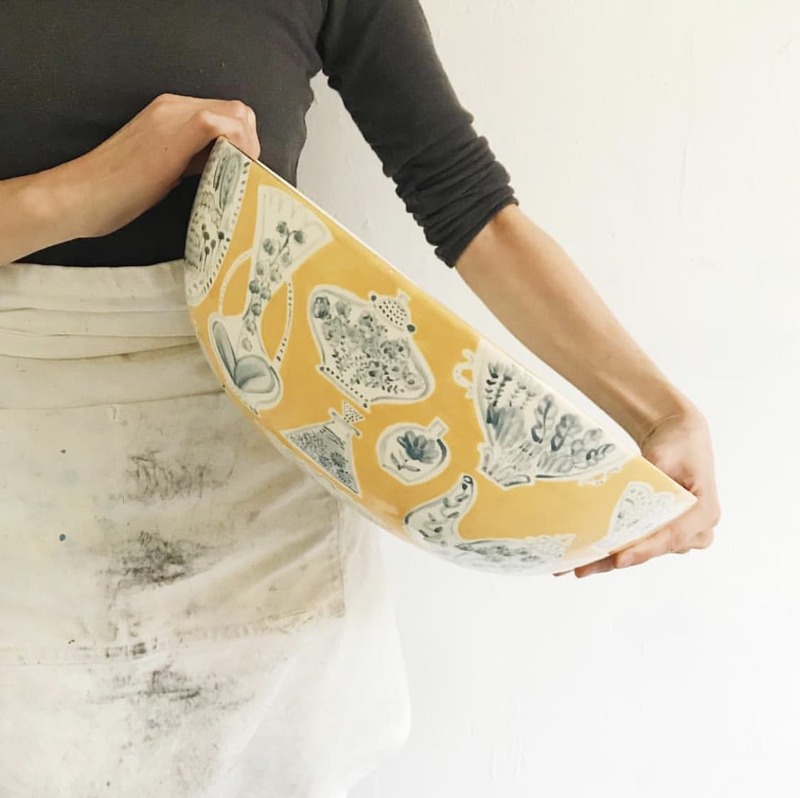 We’ve decided this year to introduce you to one of the many talented makers we are lucky to collaborate with to create magical interiors for our clients. 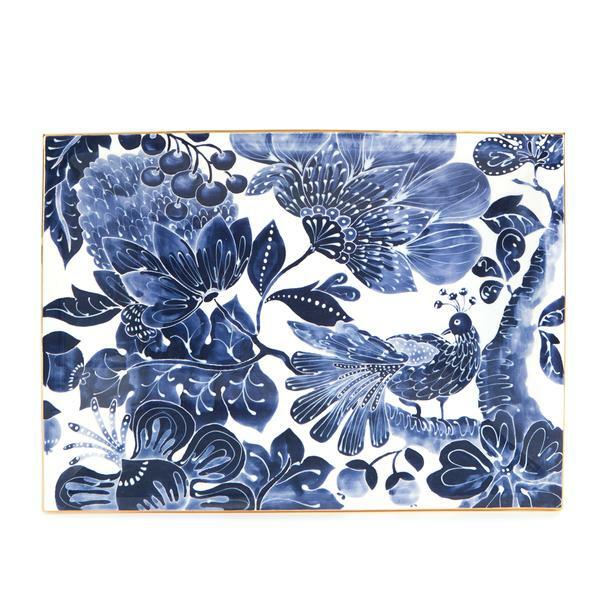 From superior cabinet makers to artisan tile producers to ceramic and other fine artists, we love work with others who have an eye for beauty to bring custom pieces to life. By sourcing and designing custom furnishings and artwork, we are able to create environments that are truly unique to each of our clients. 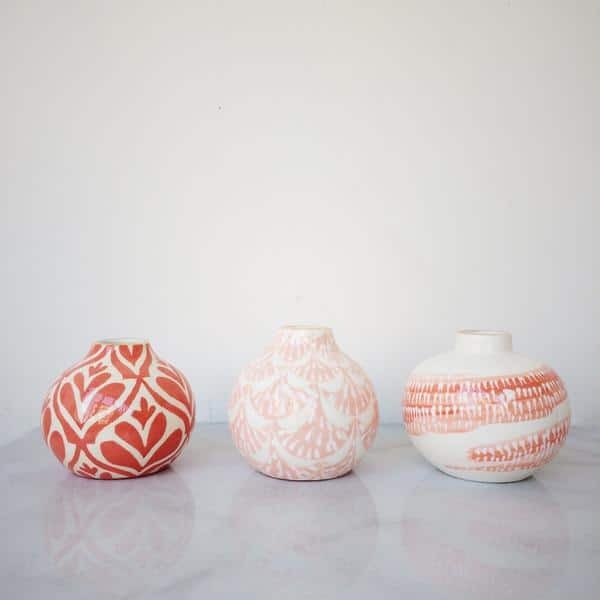 One of our favorite ceramic artists is Jill Rosenwald! Why? We believe Jill is a maker of modern classics. All of her work feels fresh and like it will be relevant decades from now as well. Jill is located in Boston MA. 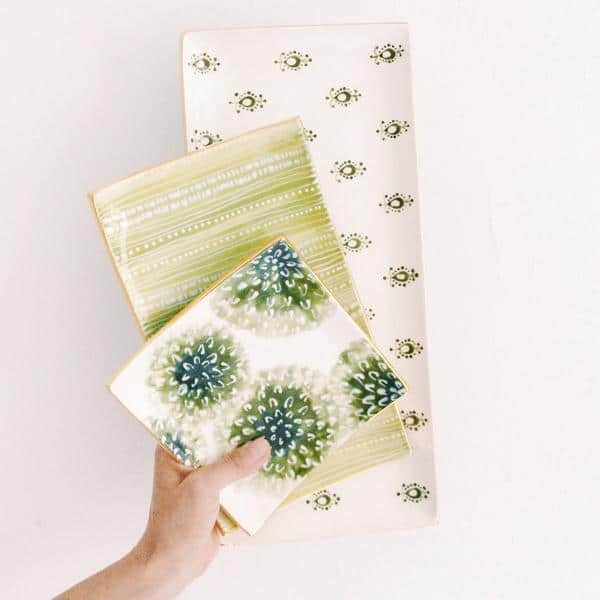 While Jill is a known brand on her own, she started out selling her wares on the streets of NYC before designing a line of table ware for Nieman Marcus. Her work can now be found in stores across the US. 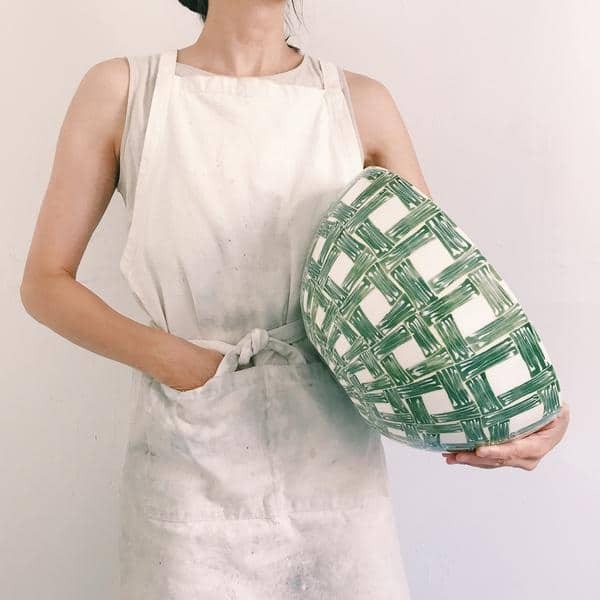 We really love that she is known for being a connector among the artists and makers in her Boston neighborhood and has regular workshops where everyday people can get their creativity on! If you find yourself in Boston, treat yourself to a workshop. 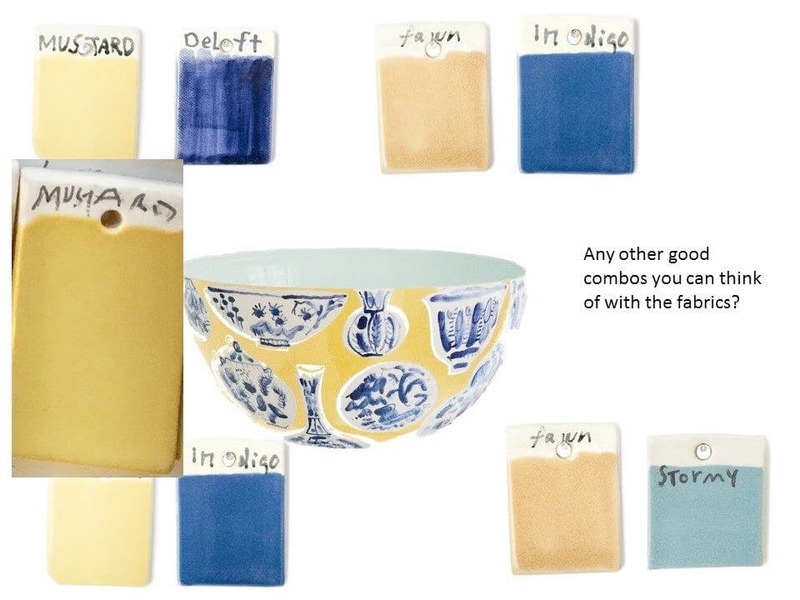 Jill’s current collection runs the gamut of happy and playful color and pattern. Classic blue and white is a favorite of ours. 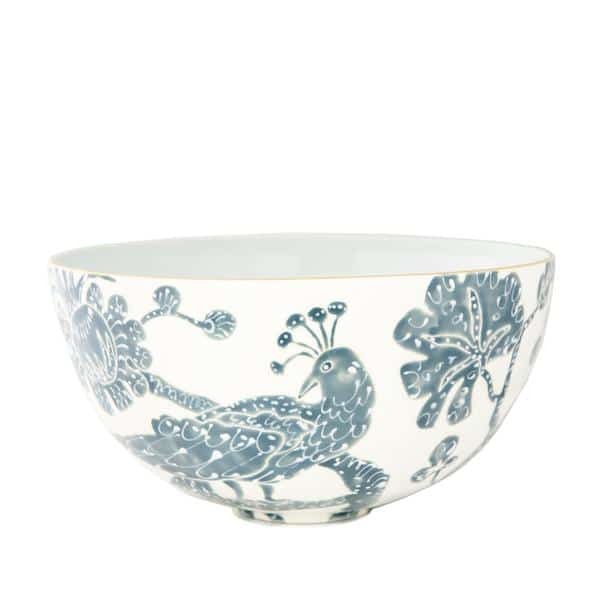 She sometimes uses patterns reminiscentof traditional chinoiserie with a distinctly updated feel. 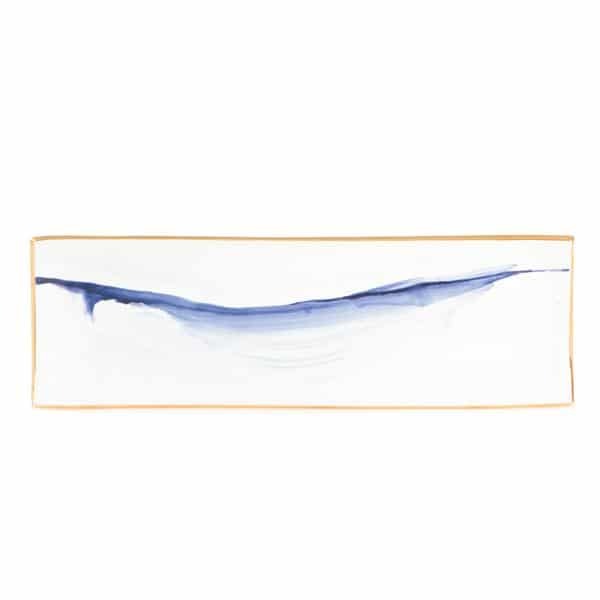 Brush strokes in blue and white are another of my personal favorites! 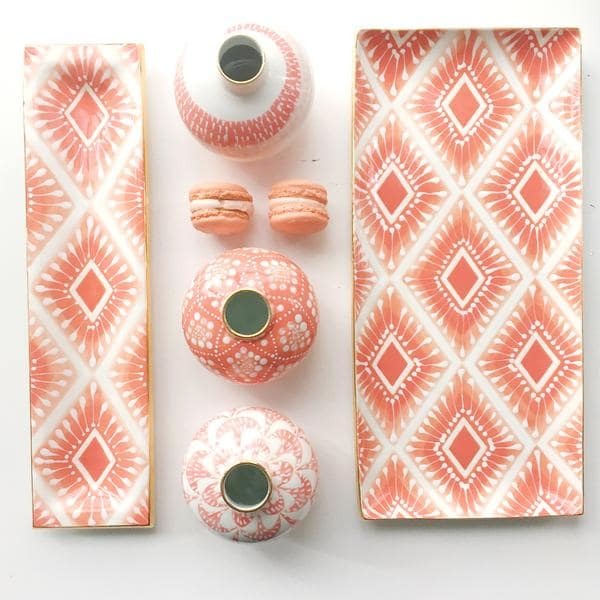 When you dig a bit deeper into her collection you will find fresh greens, pink and even this years color of the year, coral. 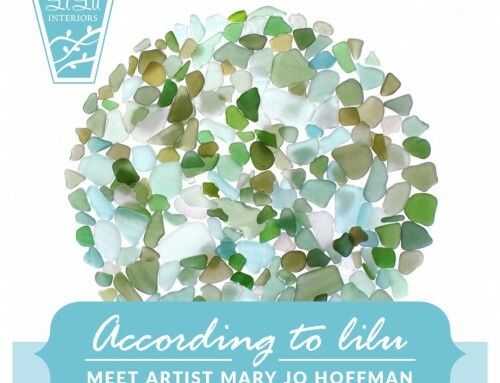 Below you will find a few of our favorites along with a links to Jill’s website! We won’t earn any commission on these beauties but we love them so much we think everyone should own one! 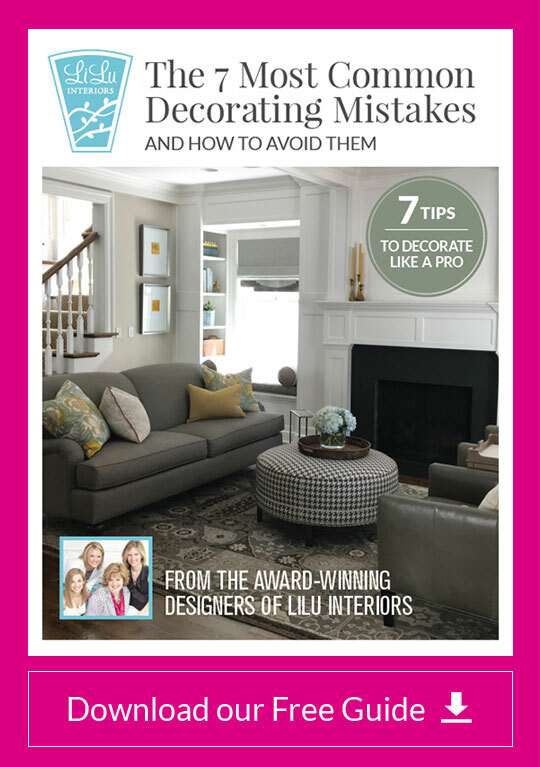 Her off the shelf creations are a truly a top interior design resources but if it doesn’t feel personal enough, take a look at her custom section on the website. 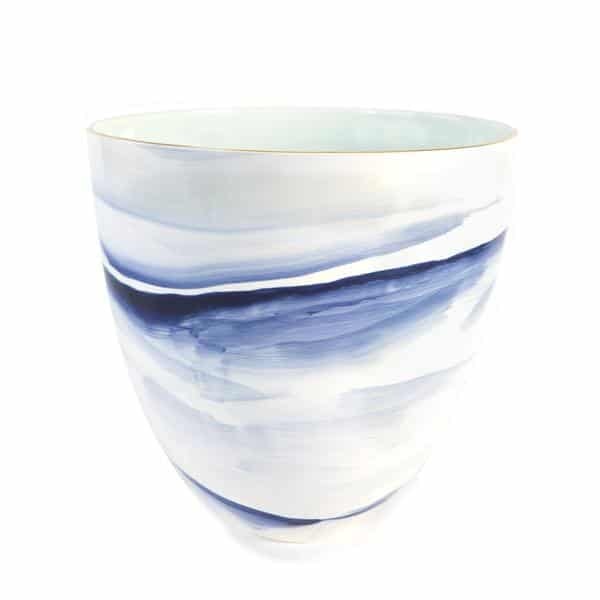 We have been lucky recently, to collaborate with Jill on a large low bowl for a clients breakfast nook. The process was super fun! 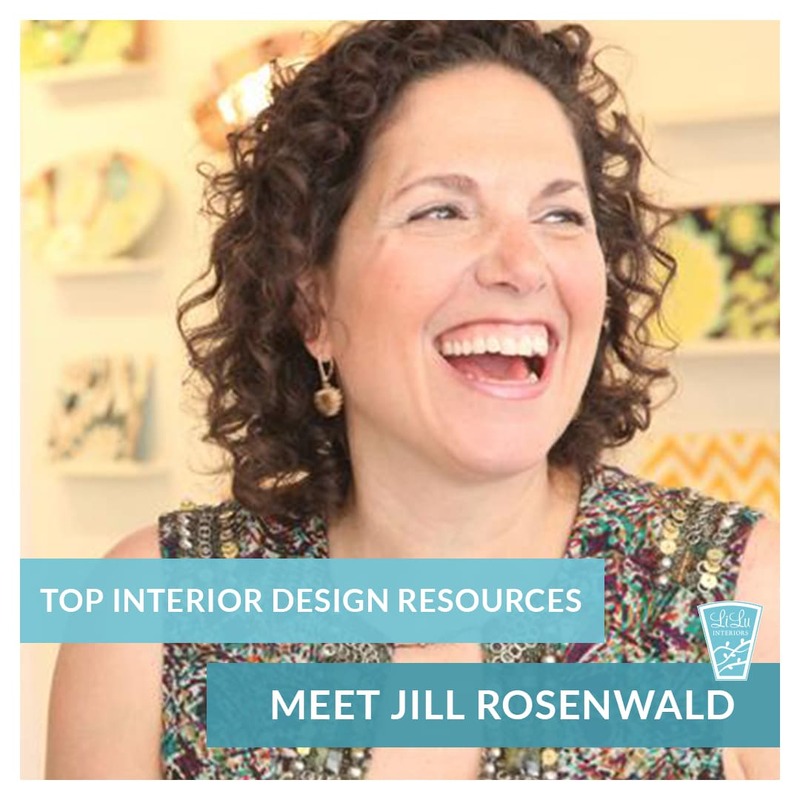 We selected the pattern we wanted from Jill’s standard patterns but she didn’t have the exact shape and size of bowl that would be perfectly scaled for our clients table. No problem, Jill made a bowl the size we needed! 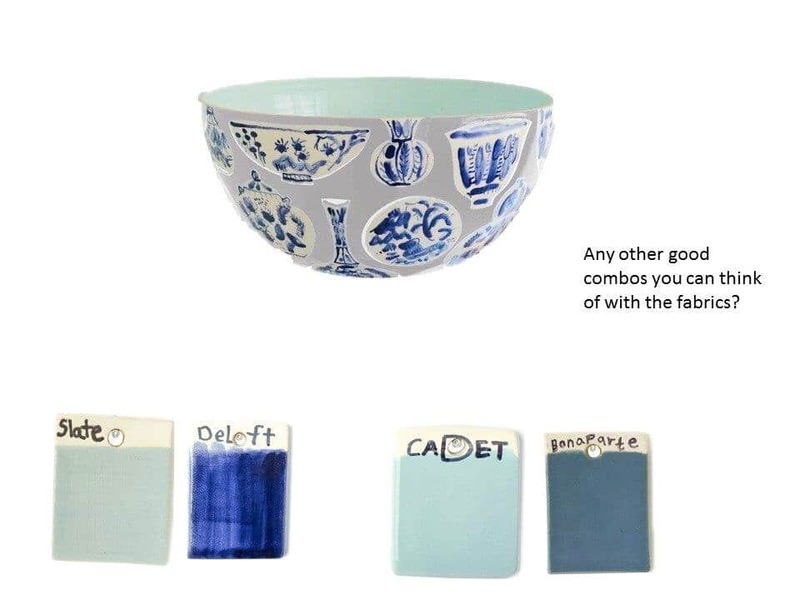 Then we sent her some fabric swatches from the room the bowl would reside in and she suggested glaze colors. After a bit of back and forth we finalized the glaze colors and the bowl went into production. Just a few months late and the bowl is in route to Minneapolis to be place in it’s new home where it will be cherished for years to come. It recently appeared on Jill’s Instagram! If you are an instagram fan her feed is worth following and will add beauty to your day! First we selected this great pattern that is in the Toile section of Jill’s website as our must have pattern. 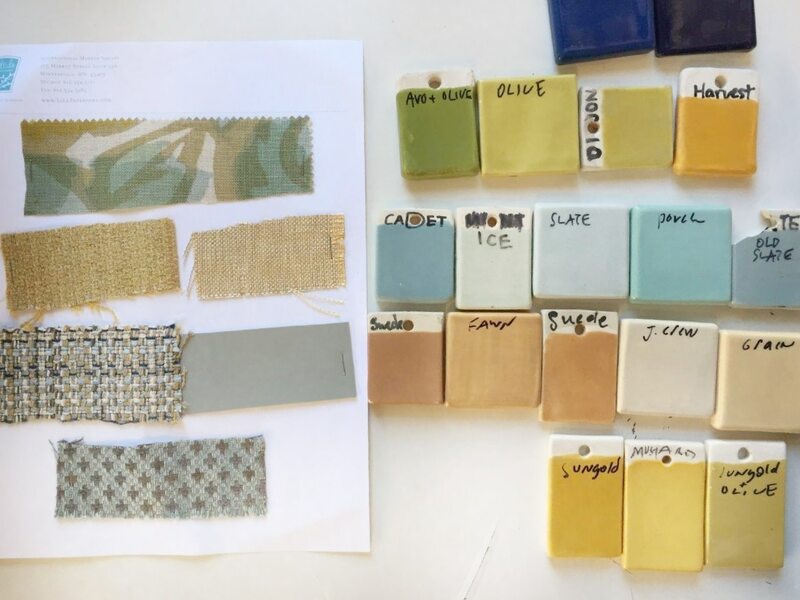 Then we sent our fabric swatches from the space to Jill’s studio and they selected glazes that worked well. Next, they created two computer renderings of the bowl for us to take a look at. We liked this rendering and wanted just to tweak it a little bit to be softer in the space. 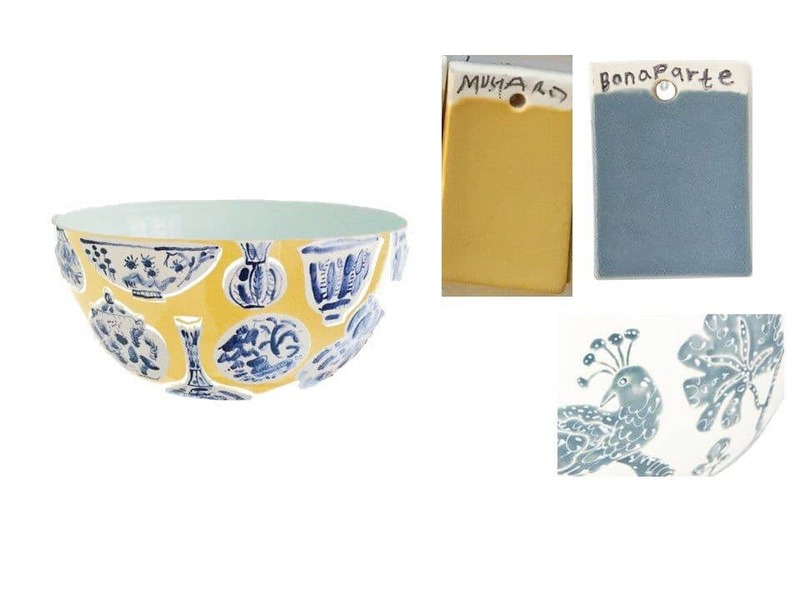 We requested the Mustard glaze that they originally suggested with a softer blue that was used on the original toile bowl we liked. 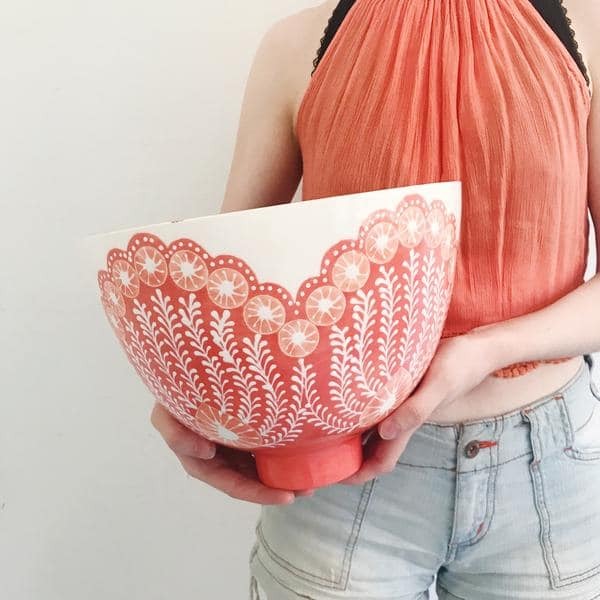 Here’s the final bowl as it appeared on Jill’s Instagram. Follow us on Instagram to see the final product when it is delivered to it’s home in the next week or so! 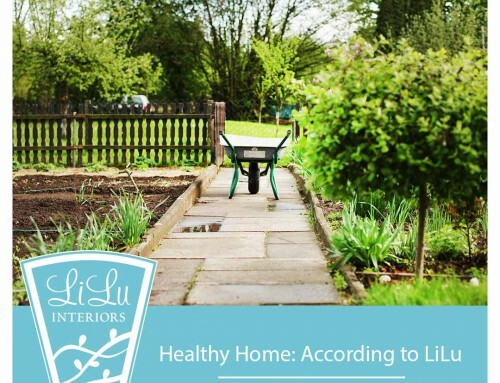 Lisa – I love how you and Jill are mutually supporting each other’s businesses! This is the very best form of collaboration I can think of. 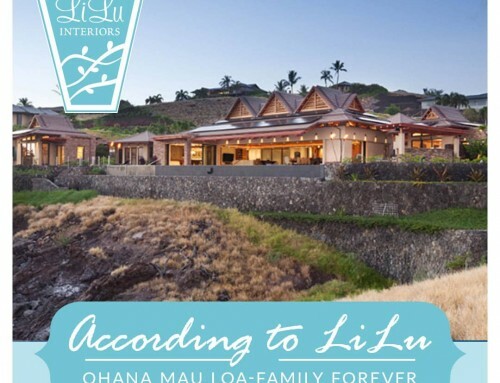 And what a great post showing how much thought and care went into creating the perfect piece for your client’s home. This is such a great example of why your client’s are so fortunate to work with you – you clearly care about every detail being just right. Thanks Leslie! I appreciate it. What beautiful pieces you showcased here! Thanks for letting us know about Jill! 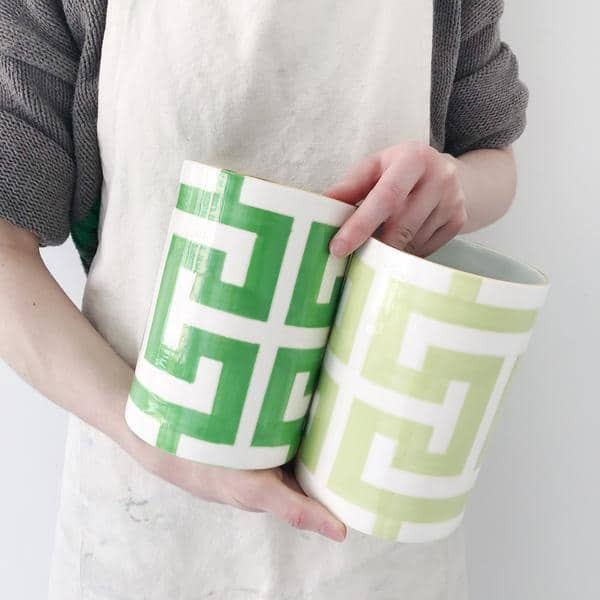 Kristie: We love Jill and enjoy letting others know about these great artisans! What a wonderful collaboration, Lisa – and a beautiful result from your attention to detail for you client! Jill is practically in my backyard, so I’ll have to check her out – thanks for sharing this! Oh wow….I love all of the pieces. How great it is to create a custom piece for your clients. Lucky, lucky clients they are to have you create that for them!